I love your quilt sample. 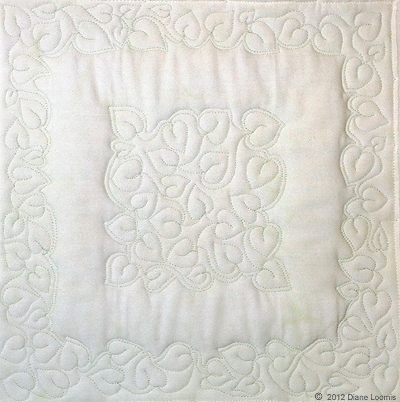 The line of echo quilting really sets it off. What a great look. Nice to learn from co-participants as well as the featured experts. Thanks for your comment! I had never tried to echo an ‘all over’ design like this one and am pleased / and somewhat surprised! / with the way it turned out. I just looked through your quilt gallery on your web site. Your work is stunning. I really look forward to your future blog posts.